Meet your favorite CBS 6 News reporters, anchors and meteorologists as they guide us through the day’s activities and events. 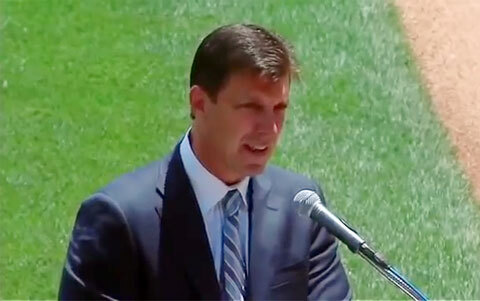 Meet & Greet with Tino Martinez, 4 Time NY Baseball Champion, from 1:30-3:30pm! On-site flu shots provided by Rite Aid—covered by most plans with no cost! Sport logo cuts, pink hair extensions, glitter tattoos, Halloween make-up demos, and massages from Mildred Elley & Austin’s School of Spa Technology! KidZone with interactive games and activities including face painting and balloon twisting by Mr. Twisty. SOMETHING FOR EVERY AGE, EVERY INTEREST, EVERYONE! Tino Martinez played in Major League Baseball for the Seattle Mariners, New York Yankees, St. Louis Cardinals, and Tampa Bay Devil Rays from 1990 through 2005. He also served as a hitting coach for the Miami Marlins in 2013. Formerly a third baseman and first baseman, Martinez was the first round draft pick for the Seattle Mariners in 1988 out of the University of Tampa where he starred during his time on campus. He began his Major League career in 1990 and played for the Mariners, New York Yankees, St. Louis Cardinals, and Tampa Bay Devil Rays, before rejoining the Yankees in the 2005 season. During his 16-year MLB career, he scored 1,008 runs, drove in 1,271 runs, and hit 339 home runs. He had 100 or more RBI in six different seasons and was twice named to the All-Star team. PFP Sports & Celebrity Talent Agency is a booking agent for motivational sports speakers and celebrities. If you would like to book baseball speakers or MLB stars like Tino Martinez for a speaking engagement, personal appearance or special event, you can request Tino Martinez agent and speaker information from PFP Sports & Celebrity Talent or call 800.966.1380.